Now your playing with power. Nintendo Power, the official Nintendo magazine here in the United States, was dear to many people. It all started with Issue 1 (seen above) with a clay cover of Mario promoting Super Mario Bros. 2 with a free poster included. For those of you didn’t get to experience Nintendo Power; or getting a magazine in general through the mail, it was a wonderful time where waiting anxiously for the mail man to deliver you the fresh print known as Nintendo Power. Within it, it would include all the news for upcoming games, impressions, reviews, and even a poster from time to time. As some one who had the chance to have Nintendo Power in their life, it’s great for fans to be able to read and glance at many publications of the writing issue per issue. You can view all of these beauties by clicking here. 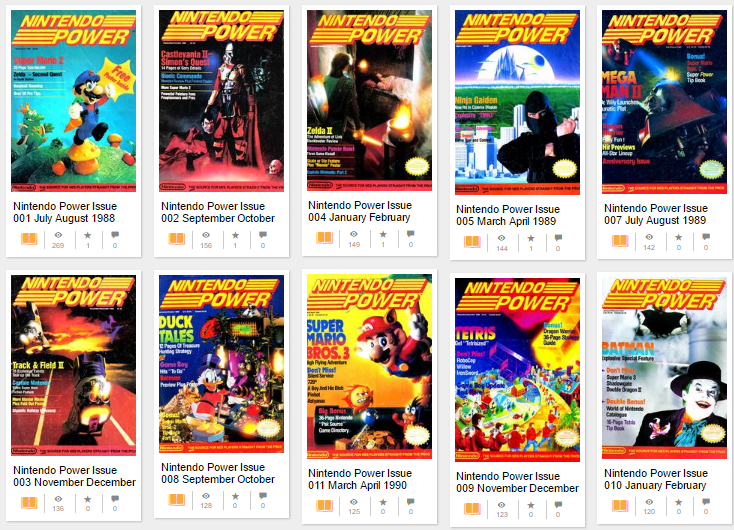 Do you have any Nintendo Power memories? Let us know in the comment section!